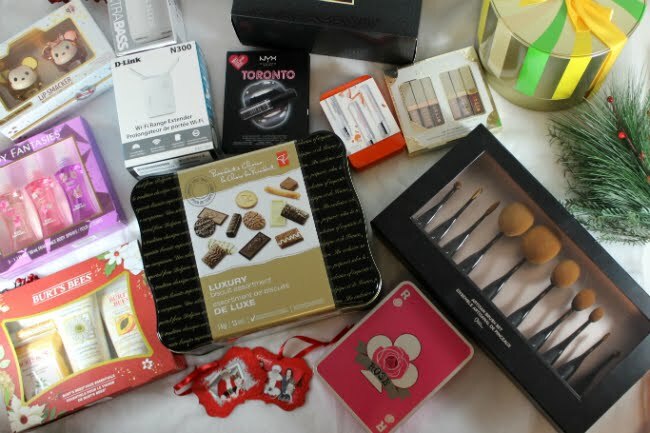 It is time for my big gift guide. There are so many people out there and so many gifts to buy, so I have done up a guide of some of the best gifts you can give this holiday season. Before I begin, some of these items were sent to me from PR for review, and some I bought myself with my own hard earned cash. Either way they wouldn't be in this gift guide if I did not 100% love them and want them here. Items with an asterisk (*) next to their name were from PR, ones without I personally paid for. All views are my own, as always. 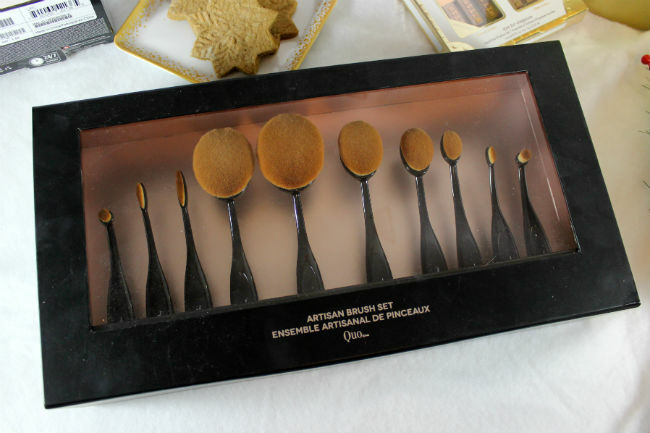 Oval makeup brushes have been all the rage the last few years. Quo happens to always makes fantastic brushes and brush sets, so to see that they have an oval set for the holidays is a delightful thing. This set features 10 brushes, everything from your lips, face and eyes is covered with this super soft and dense set. 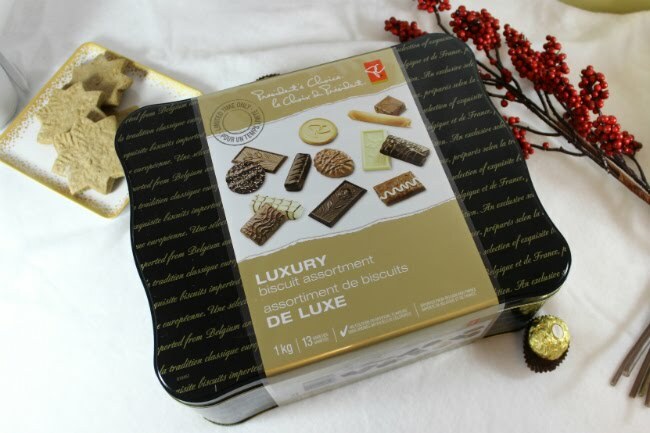 Belgian chocolate cookies are a tradition in our house. Every year we get one as a gift and enjoy them with coffee and tea as desert on Christmas night. This year I opted to buy a box a little early just to make sure I had some on hand. While many companies sell these under their own name, we got the PC brand (honestly I think they are all the same). I love the combo of cookie and good quality chocolate. 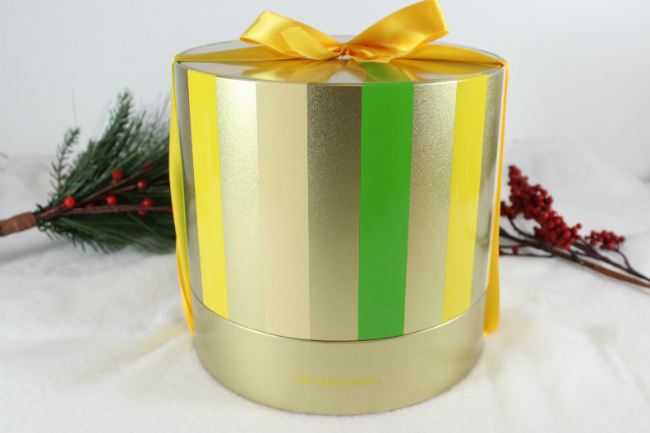 Plus you get a nice tin you can reuse for other projects or storing holiday ribbon (its what I do with them). I really think it makes a nice hostess gift. Shoppers Drug Mart has their own online photo store, which has a whole pile of customized photo gifts. After getting our Santa photos done I thought it would be a great idea to get our families (and ourselves) some custom ornaments made up. We chose a wider shape with a red border, but there were lots of options. 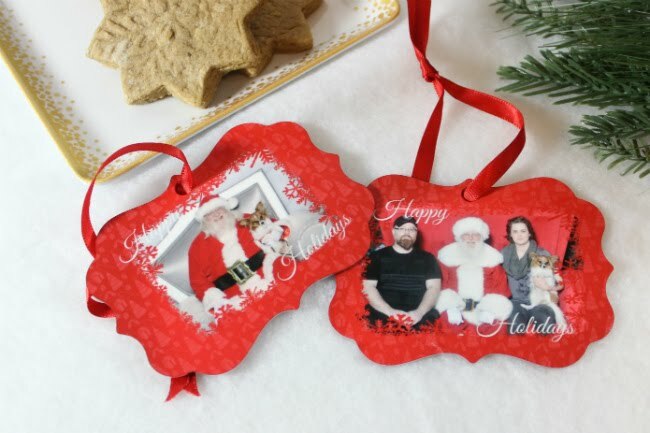 A nice touch is that they are double sided so we put Bradley's last year photo on one side and this years family photo with Santa on the other. I really think our moms are going to love these. Ordering was easy, and pick up was in about a week at our chosen Shoppers location, oh and we got Optimum points too (bonus). This tiny speaker that is about half the height of a pop can, is waterproof and rechargeable. 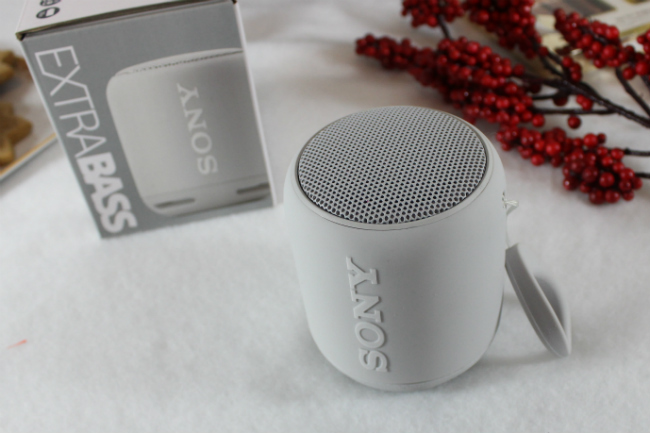 I currently have another Sony Bluetooth speaker that is much larger and runs on either an electrical cord or a bunch of batteries, so to have a smaller version that can pump out the tunes just as well without the need for cords or batteries is a much welcome change. You can get a second one and have them set up for stereo sound, but honestly one makes some pretty amazing sound. I recently started to use it in the kitchen (hanging from a cabinet knob and off the counter) while cooking and in bed when I am using my tablet. My tablet's speakers are on the back of them and get muffled when I push it up against a pillow, so it is fantastic for that. It also has a little string so you can hang it if you are out and about. It also has the ability to sync up with a second speaker and create a stereo experience and has some pretty incredibly deep bass settings (hence the name). When we moved 2+ years ago from a tiny 1 bedroom apartment to a 3 story stacked town home, we worried about the WiFi. It is a silly thing to worry about but really, how was the signal going to be from the basement all the way up that concrete thing to the 3rd floor. Well it has been hit or miss. My office is upstairs and we do a lot of watching of online media in the bedroom (tablets, phones, chrome casting to the TV). So the idea of boosting our reception was a great idea. This little tiny thing does such a great job I do not know why we didn't get one sooner. The best part for me is, the hubby has older desktop computers that don't have WiFi options, and we have wires everywhere to connect them to the internet. This little guy has a LAN cord spot in it. Which means all you need is an outlet and you can get the internet to a computer. This is really great because we felt really limited in what areas of the house we could put his computers, and now we aren't. We now have the option of giving him an office like me on the 3rd floor. 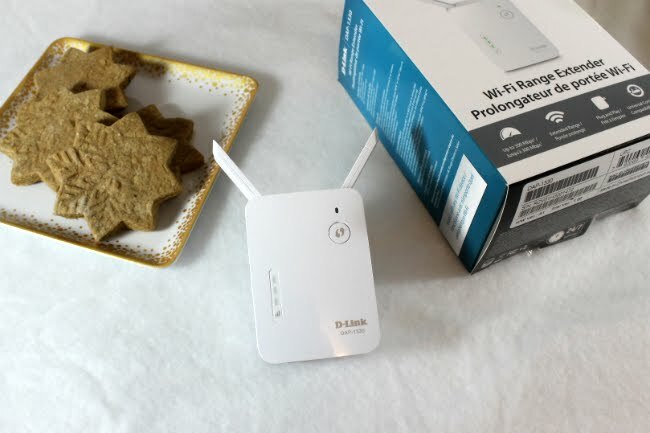 Anyways I think this makes a good gift for anyone with a house or a larger condo, it helps give you full WiFi bars just about anywhere. This little perfume body spray set features four popular scents from Body Fantasies. With Japanese Cherry Blossom, Sweet Crush and Pink Sweet Pea Fantasy, these three scents are sure to brighten up anyones holiday season. The box set makes for a nice gift for anyone you know likes fragrances (you could also break it up into four gifts for a few stocking stuffers). 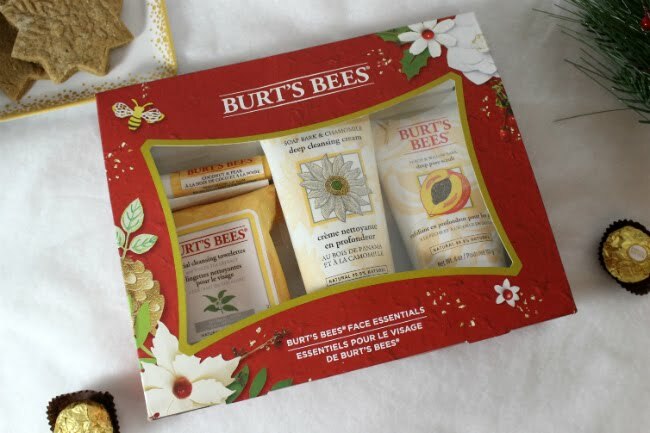 Burt's Bees is a favourite of mine this time of year. They always have such great gift sets for any need, face, feet, hands, travel, lips. This year I am trying out their Face Essentials kit which has in it their White Tea Towelettes, Peach & Willowbark Deep Pore Scrub, Soap Bark & Chamomile Deep Cleansing Cream and Coconut &Pear Lip Balm. All full sized and all great products for anyone who is into skin care products. I really love their Deep Pore Scrub and Deep Cleansing Cream, I have dry skin and cleansing creams are definitely the way tot go to get your pores clean but not strip your skin of moisture. If you are looking for a great gift for the lady in your life, or heck even yourself then you may want to consider this bit of an adult gift option. Lelo is known for making high end toys that are also come in classy packaging. This set features two of Lelo's global best sellers, INA 2 and SIRI 2 as well as a bottle of their water-based personal lubricant. If this seems like a bit of an odd gift, you should head on over to Canadian Fashionista's blog and read about how 75% of Canadian women are not having orgasims. I love Clinique's Happy and Happy Heart. The scents have been in my rotation for years, but recently it caught my interest again. Sadly all I have at this point is a bunch or roller-balls I don't use. Then I found this little set and everything changed. It has three happy scents, Happy, Happy Heart and Happy in Bloom, all in mini spray bottles. They are spray bottles !!!! I am so happy (no pun intended). I can now spritz in the morning, or travel with one of them. I mean I really hate roller-balls, they get gross after a while plus I feel I need to spritz my fragrance a bit on my clothes to get more of a lasting scent. A friend recently gave me this NYX Toronto set and I thought it was so cute. There are a few cities in the collection (New York, Santiago, Stockholm, London, to name a few). You get a quad of shadows, a blush, highlight and soft matte lip in its own little book like box. I think it is a really cute gift for anyone you know from one of the cities or just as a cute makeup gift. 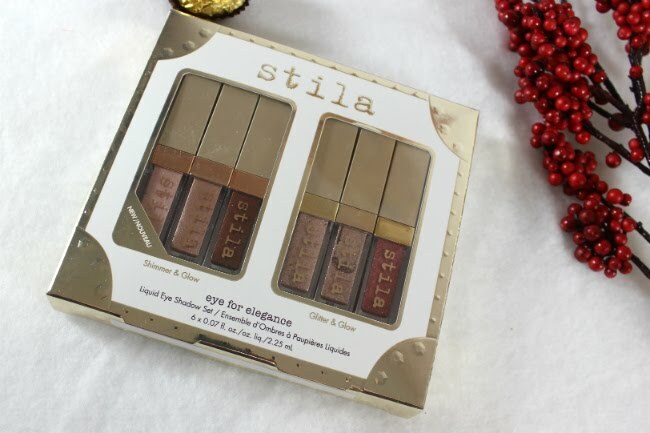 I am a big fan of Stila in general, each year I often end up purchasing at least one of their holiday sets. This year they had one I couldn't live without getting. It has six of their liquid eyeshadows, three of which are so new they wont be out until the spring. The three new ones are Shimmer & Glow shades while the three already released shades are Glitter & Glow shades. They all are really pretty pink, gold and silver shade that I think would look great on most people. The Shimmer & Glow ones really interest me because they are glitter free and they are just so pretty looking. My hands are so dry all the time, but Christmas is the worst time of year because of how much I work. 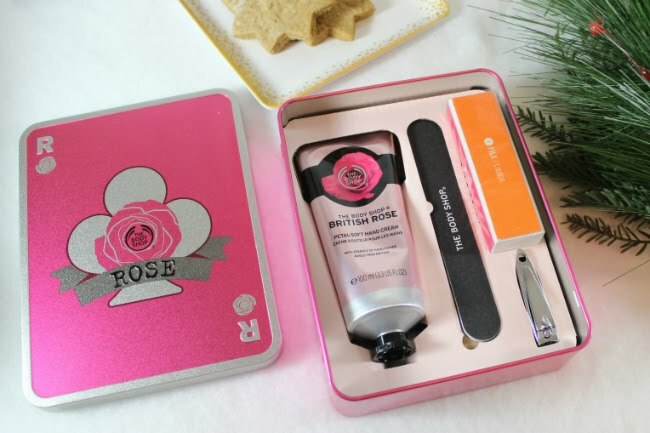 I adore The Body Shop's British Rose Hand Cream (the Almond one too), so this set really called to me in store. I love tin that looks like a playing card. Inside is a full size of the lotion, nail clippers. nail file and nail buffer. I really just wanted the hand lotion and tin, but this makes for a nice gift for anyone you know works hard with their hands. There is also a smaller version available. Plus, this gift helps fund Peace Play Project in Lebanon, like all gift sets at the Body Shop this year. Tsum Tsums are still some of the cutest lip balms around, plus they have a great formula. 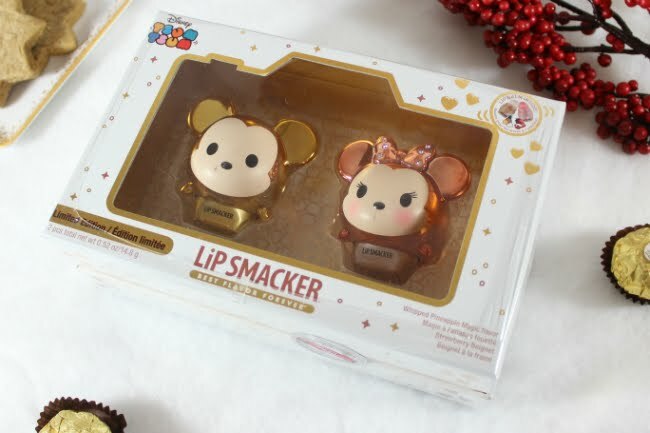 While this year Lip Smacker has lots of options for stocking stuffers in the Tsum Tsum family, but this gold Mickey and Minnie set is just too cute not to get. Mickey is in gold with Whipped Pineapple flavour and Minnie in rose gold with Strawberry Beignet flavour. There is my gift guide. I think all of these would make great gifts to give or receive this holiday season.